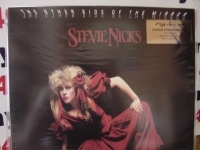 Classic Analog LPs - items 875 to 900 Shop MyMusicFix!! 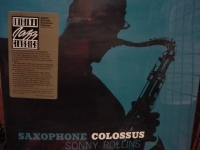 "Sonny Rollins, Rollins Plays For Bird"
Classic Analog LP Pressing. 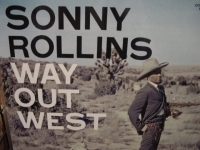 On this BRIDGE recording, Rollins makes a shattering return from sabbatical. He is joined by the youthful Jim Hall, who makes a great partner. 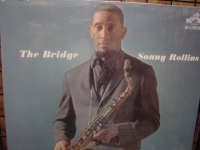 The Bridge has many symbolisms (in his life, and literally as the 1600 ft bridge connecting the New York boroughs of Manhattan and Brooklyn), but musically the Album is a BRIDGE between Sonny Rollins who rose quickly to a position of top rank among the saxophonists of the post-bop era of Modern Jazz development in the fifties and the Sonny Rollins to be of the sixties. This Album is a historic moment in jazz. 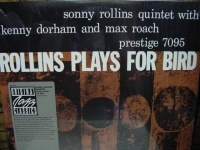 Tracks Include: "Without A Song" "Where Are You" "John S." "The Bridge" "God Bless The Child" and "You Do Something To Me"
"Sonny Rollins, Way Out West"
"Sonny Stitt With Bud Powell & J.J. Johnson"
"Spirit, Spirit / Clear Spirit (2 LPs)"
CLEAR SPIRIT - The Family That Plays Together" (their 2nd LP - yes, I said "LP") was released back in 1968 and an amazing unique sound - this is one group that had few peers...they were years ahead of most of the music scene back then...and, light years ahead of the music scene today (yet, somehow, they remain sadly kind of obscure in the musical scheme of things - almost like a rare gem, hiding out and waiting to be discovered - again! Except for those who have always treasured their important, barrier-breaking contributions to rock & roll). Eclectic, melodic, original, whimsical, thought-provoking...these are just a few words to describe the myriad of colors Spirit sound-painted with. This album is just as brilliant as the other three - a new adventure, a departure, yet completely familiar to any fan of Spirit's catalogue of music. Check out rockers like "Dark Eyed Woman", "Ground Hog" or "I'm Truckin'" and then simmer down with beautiful, almost tearful melodies like "Give A Life, Take A Life" and moody, provocative instrumentals like "Ice" & the title track...you'll be blown away! 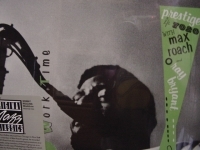 Bonus cuts are excellent too... "Fuller Brush Man" is sheer whit & genius! 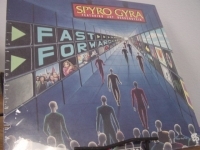 I believe this was one band that recorded lots more material than they ever released, so we can only hope for more magic from the vaults of Spririt. Also, after listening to any of their first (4) LP's (with all five original members), you will understand why so many British prog bands of the late 60's/early 70's would site Spirit as a definitive influence -- they left an electric legacy for our modern-day rock & roll-starved souls to continuously rediscover and immerse ourselves in! SPIRIT - What a magically engrossing affair this is. 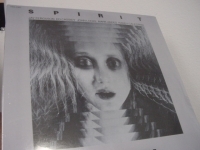 Spirit was certainly a very special band from a very interesting time in rock history. The group's albums are a compelling blend of psychedelic rock and jazz, and I find their adventurous allure a constant delight. Drummer Ed Cassidy completely understood jazz and rock. This is why the transitions between the rock rhythms and the jazz rhythms are seamless and utterly convincing. Much of his drumming on the album suggests far more than he's actually playing, while his perfect choices time and again yield the perfect complement to the music. Listen closely to what he plays on "Straight Arrow"; always interesting, always brilliant. Randy California's guitar work is magnificent throughout. Oh, the sound he gets on his solo in "Mechanical World"--what an incredibly delicious tone! 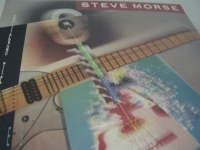 And, the guitar harmonies at the end of "Gramophone Man" are simply divine. Most of the tunes were written by Jay Ferguson, and are fantastic vehicles for the band to show off their unique style. "Girl In Your Eye" floats along beautifully, with sitar shadowing the melody. Listen closely to the guitar line in "Taurus" and you'll hear where the main line during the verse in Zeppelin's "Stairway to Heaven" came from. 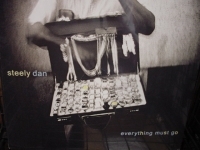 On the jazzy "Elijah," the final original-album cut, we hear something intriguing: even when the band goes to straight improvisation, they don't lose their musical identity; they still sound like Spirit. Do you love psychedelia, the 60s, great and imaginative music? Get this. These guys won't disappoint. (The delightful and informative liner notes were written by Randy California in 1996. "Spirit, Twelve Dreams Of Dr. Sardonicus"
SPIRIT - TWELVE DREAMS OF DR. SARDONICUS - Gatefold Cover. Analog Vinyl LAST COPIES OF THIS OUT OF PRINT CLASSIC. 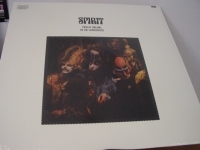 One of the most adventurous bands of the late 1960s, Spirit never really found as wide an audience as they deserved for their eclectic blend of rock, jazz, blues, and pop. It was never a question of whether Spirit was the best band in the world at what they did. They were probably the only one. The groundbreaking Los Angeles five piece -- vocalist, Jay Ferguson, Randy California on guitar, keyboardist John Locke, Mark Andes on bass and drummer Ed "Cass" Cassidy -- blended jazz, high voltage rock, folk, blues and avant garde noise into something uniquely their own; without peer and without parameters. Spirit was formed with the intention to combine jazz, rock, classical, and folk with a mystical orientation. 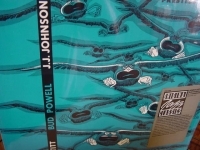 Led by the family duo of Hendrix-inspired guitarist Randy California and his uncle, jazz drummer Ed Cassidy (whose shaved head--some 20 years ahead of its time--was the band's visual focus), Spirit had a few idiosyncratic hits such as "I Got A Line On You." The band didn't reach its prime until Twelve Dreams, after which they promptly broke up. A loosely constructed sci-fi concept album, it contains the band's biggest hit, the ecological "Nature's Way" (complete with booming kettle drums), the surreal rock of "Animal Zoo," and the orchestral psychedelia of "Life Has Just Begun." Bristling with ideas, energy, and California's meaty guitar, Twelve Dreams exemplifies the best of the late '60s experimentalism. 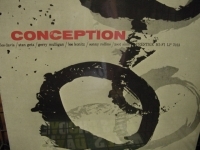 "Stan Getz, Conception - CURRENTLY SOLD OUT"
Factory Sealed Classic Analog LP Pressing. The nicest thing you can do for your stylus and ears. The way music was meant to be heard. Out of Print forever! 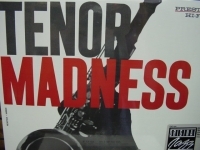 Tracks Include: "Odjenar" "Hibeck" "Yesterdays" "Ezz-thetic" "Indian Summer" "Duet for Saxophone and Guitar" "Conception" "My Old Flame" "Intoit" "Prezervation" "May Be Wrong" "So What." 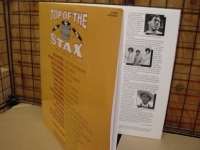 "Staple Singers, Be What You Are"
"Stax, Top Of Stax - 20 Top Hits"
"Steve Morse, High Tension Wires"
"Stevie Nicks, The Other Side Of The Mirror"
Classic Analog LP Pressing w/ small cut out in cover. Tracks Include: "Room On Fire" "Long Way To Go" "Two Kinds Of Love " "Ooh My Love" "Ghosts" "Whole Lotta Trouble" "Fire Burning" "Cry Wolf" "Alice" "Juliet" "Doing The Best I Can(Escape From Berlin)" "I Still MIss Someone(Blue Eyes)". 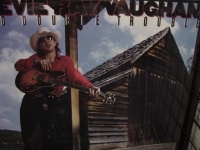 "Stevie Ray Vaughan, Live Alive (2 LPs)"
Classic Analog LP Pressing. "Live" not only covers many of Vaughan's most popular album tracks but also showcases a version of Stevie Wonder's Superstition. 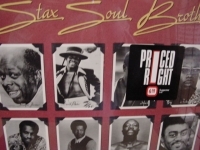 Other Tracks Include: "Say What" "Ain't Gone 'N' Give up on Love" "Pride and Joy" "Mary Had a Little Lamb" "Superstition" "I'm Leaving You" "Cold Shot" "Willie the Wimp" "Look at Little Sister" "Texas Flood" "Voodoo Chile" "Love Struck Baby" "Change It"
"Stevie Ray Vaughan, Soul To Soul"
Classic Analog LP Pressing. Stevie Ray Vaughan indicated he wanted to add soul and R&B inflections to his basic blues sound, and Soul to Soul does exactly that. 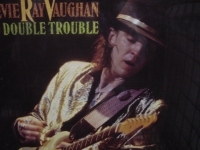 It's still a modern blues album, yet it has a wider sonic palette, finding Vaughan fusing a variety of blues, rock, and R&B styles. Tracks Include: "Say What!" "Lookin' Out The Window" "Look At Little Sister" "Ain't Gone 'N' Give Up On Love" "Gone Home" "Change It" "You'll Be Mine" "Empty Arms" "Come on" "Life Without You"
"Stevie Ray Vaughan, Texas Flood"
This legendary 1983 debut by the fallen torch bearer of the eighties/nineties Blues Revival sounds even more dramatic in this special Limited Edition. 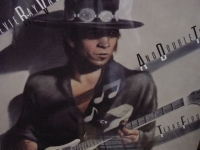 Stevie Ray Vaughan's guitar and vocals are brighter on TEXAS FLOOD which captures Vaughan as a rocking Blues Purist paying tribute in his inspired 6-string diction to his influences Larry Davis, Buddy Guy, Albert King and Jimi Hendrix. His own contemplative Lenny (a tribute to his wife at the time) also suggests a jazz fueled complexity that would infuse his later work. Tracks Include: "Love Struck Baby" "Pride and Joy" "Texas Flood" "Tell Me" "Testify" "Rude Mood" "Mary Had A Little Lamb" "Dirty Pool" "I'm Cryin" "Lenny"